Pinnacle condominium is located in sun drenched Sunny Isles Beach and is a J. Milton and Associates Development by architect Fullerton Diaz. The project was completed in 2000 and contains 246 residences from 1,590 square feet to 2,275 square feet. 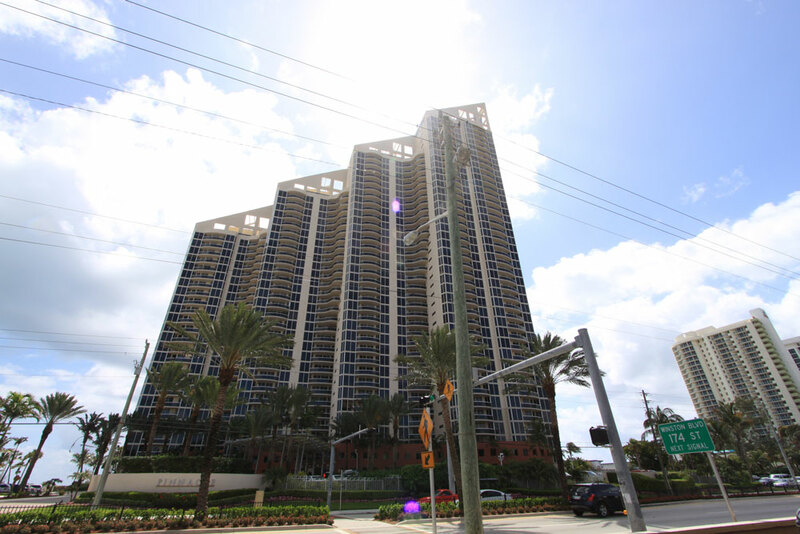 It is oceanfront and distinctive for its’ four tower sloping design. 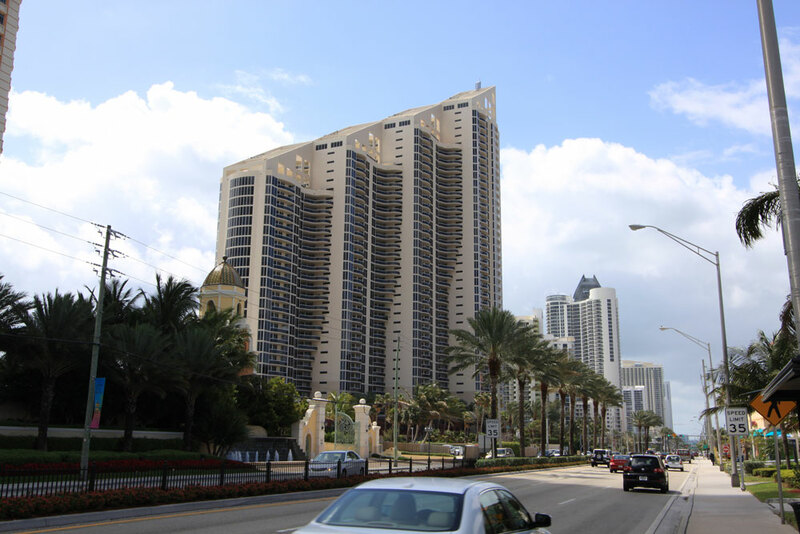 Sunny Isles Beach is one of the most prestigious areas for the discriminating owner. This paradise lies just off Miami, on a beautiful barrier island, surrounded by crystalline waters. Numerous properties entice you to choose a residence, but the Pinnacle is perhaps the best choice for those seeking luxury in paradise. This incredible building features one of the most unique designs you'll find in the area, as well as some of the best residences to call home. 1, 2, 3, 4 and even 5 bedroom units are available, offering you the floor plan that you need for comfort. In addition, every residence offers you numerous amenities and luxuries. Step into the foyer and you'll be impressed with the raised ceiling that carries over throughout each unit. The units are also prewired for the best Internet access, as well as cable TV. Washers and dryers are provided throughout, as are custom front doors. The views residents at Pinnacle enjoy are of the Atlantic Ocean, Downtown Miami, and the Biscayne Bay. These views are enhanced by all the interior accompaniments including ocean to intracoastal floor plans, floor to ceiling windows, raised ceilings in the foyer, and raised paneling and custom hardware in kitchen and baths. Residences are equipped with fixtures, cabinets, and appliances from Franke, Snaidero, and Kitchen Aid, respectively. Pinnacle residents enjoy 400 feet of private beach frontage, ocean front pool deck, gated 24 hour security and concierge, fitness center, and lush landscaping. Within the bounds of Pinnacle, and outside of there are incredible amenities and diversions. Sunny Isles is a diverse city located northeast of Miami and is home to some of the most luxurious and comprehensive developments in South Florida. As early as 1920 the area was designated for tourists and by 1925 it was linked to Miami Beach by Haulover Bridge and grew to what it is today. Developers continue to favor this neighborhood for its’ white sand beaches and some of the world’s most famous architects and builders continue to break ground on oceanfront condominiums including famed Micheal Dezer and Donald Trump. Directly to the South is the shopping mecca, Bal Harbour, and to the north, Aventura. It is equidistant from the Miami International Airport and the Fort Lauderdale International Airport and conveniently located to various executive airports. 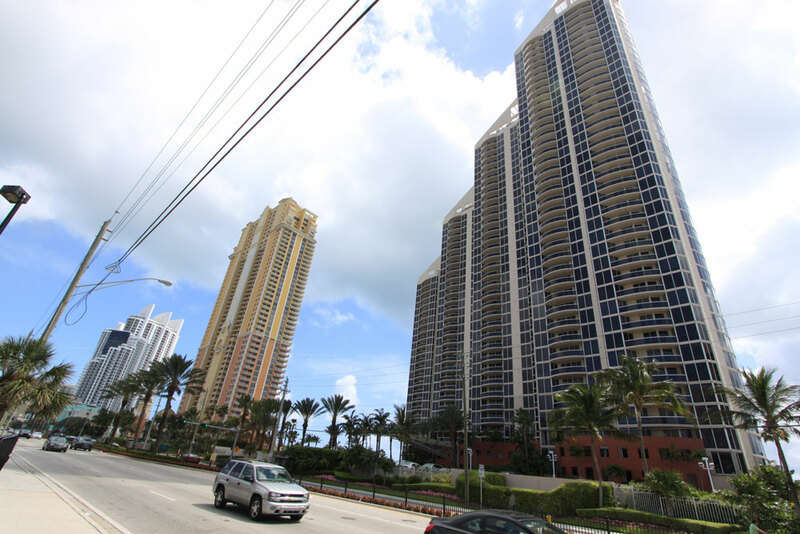 Sunny Isles is as much a destination as South Beach for the elite, and much more discreet.